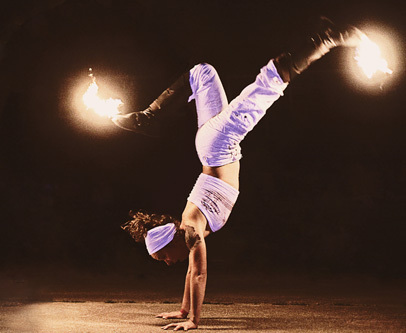 Flameshoes are the result of combining capoeira with the fire spinning of fire poi, fire staff, fire fans, and other kevlar fire equipment use. But, for now at least, there is no other similar product being sold. 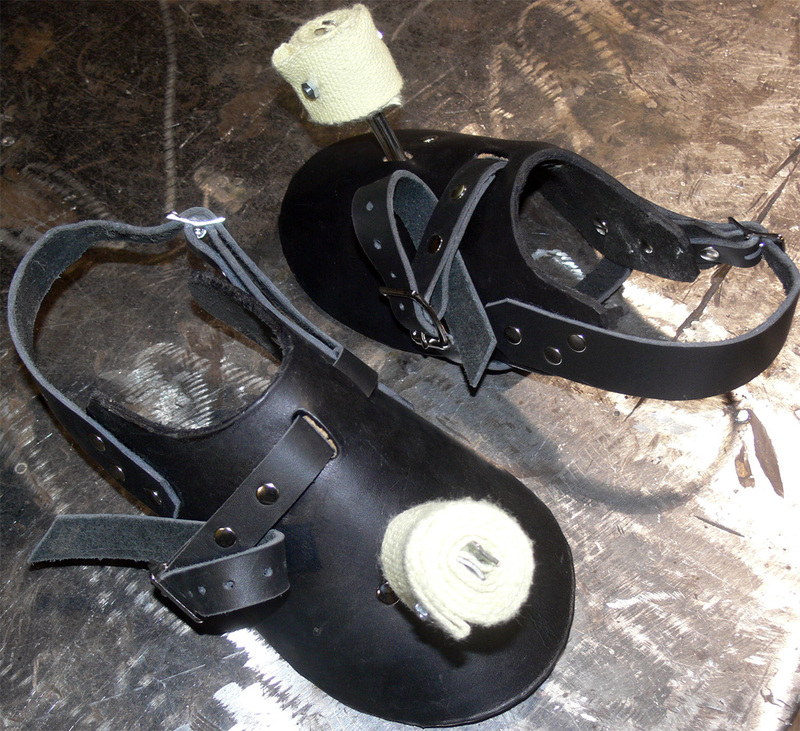 Flame shoes add an exiting and visually impressive element to capoeira, other martial art, or dance demonstrations. They also contribute to a unique presentation for traditional fire equipment performances. 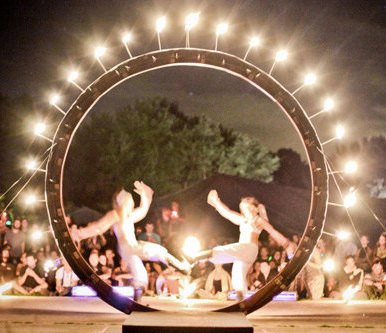 Full unimpeded acrobatic movements and footwork are possible while wearing flame shoes, only, your feet are on fire! Flameshoes are handmade using high quality full grain 9-10 oz. leather. This leather is used for heavy durable items like sadles and light armor. They provide a covering to protect your feet and shoes from the heat of the fire and hold up well to many many uses. They also provide a stable secure platform for kevlar wicks to burn. In addition to flameshoes, leather protection for the lower legs is necessary. 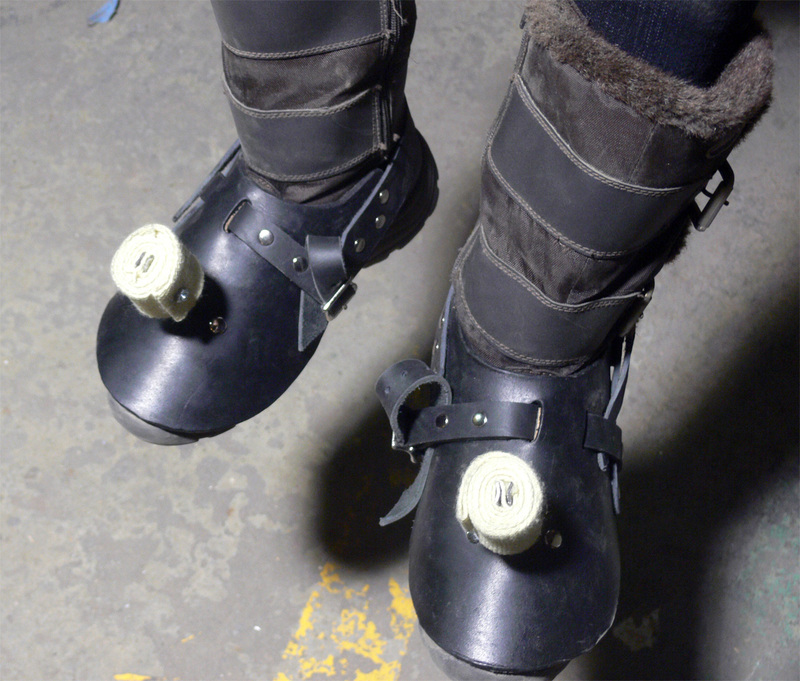 Greaves can be bought from many different vendors for about $45 as well as ones I am making specifically for use with flameshoes. For now, I am making flameshoes on a per order basis. If you are interested in buying a pair or several please contact me by email. The normal price is $150 per pair. If you are a capoeirista and/or otherwise unfamiliar with the use of fire equipment, you must read thoroughly how to safely use fire equipment! I do not accept any responsibility for injury or damage that comes from using flameshoes. Flameshoes work just like any fire poi, fire staff, or fire juggling equipment which typically use a combination of white gas and/or lamp oil for fuel. Ideally fire toys are experimented with in the company of experienced fire performers equiped with fire blankets and taking other safety precautions. 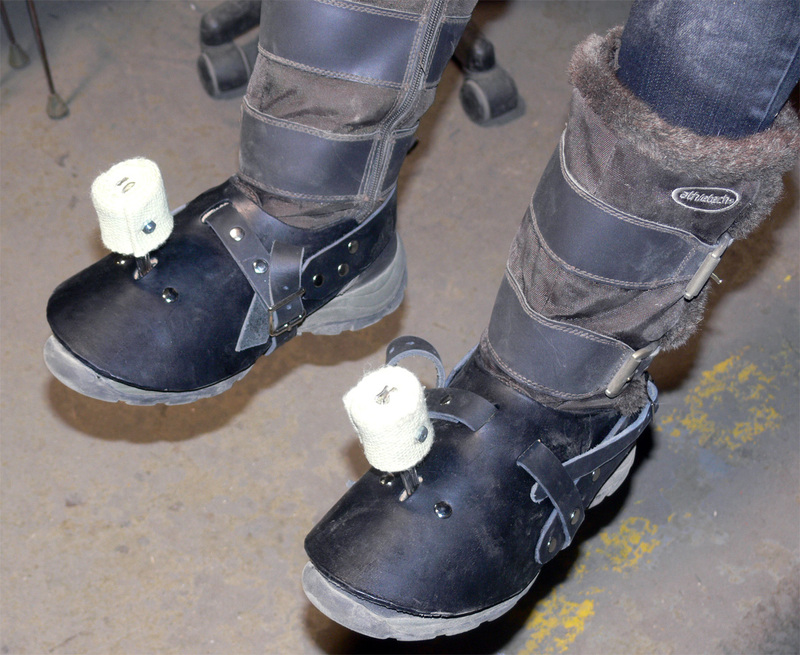 However, flameshoes are safe and easy to use when appropriate care is taken, if you feel prepared to strap large fires to your feet you should have a great time!